Posts: 318 This species, Sialis, also known as an alderfly, was identified to genus using Merritt, Cummins And Berg. 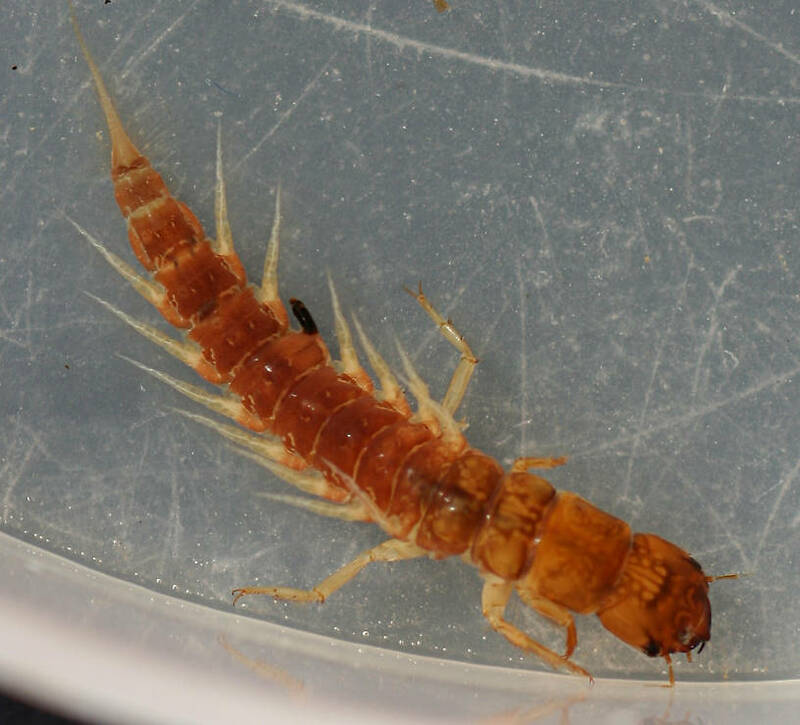 There is no key to the California species of Sialis larvae. They are usually found in slackwater areas of rivers and streams with a silt bottom and dead leaves. 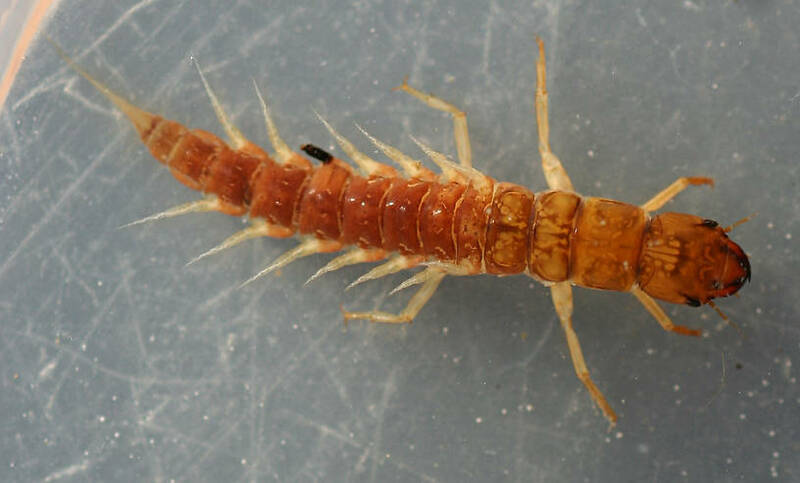 This one was found in the Russian River and measures about 16mm. Posts: 1284 Very cool, Mark. I believe larvae are also found in lakes and ponds. They are pretty neat little animals. Yeah, they do live in ponds and lakes. 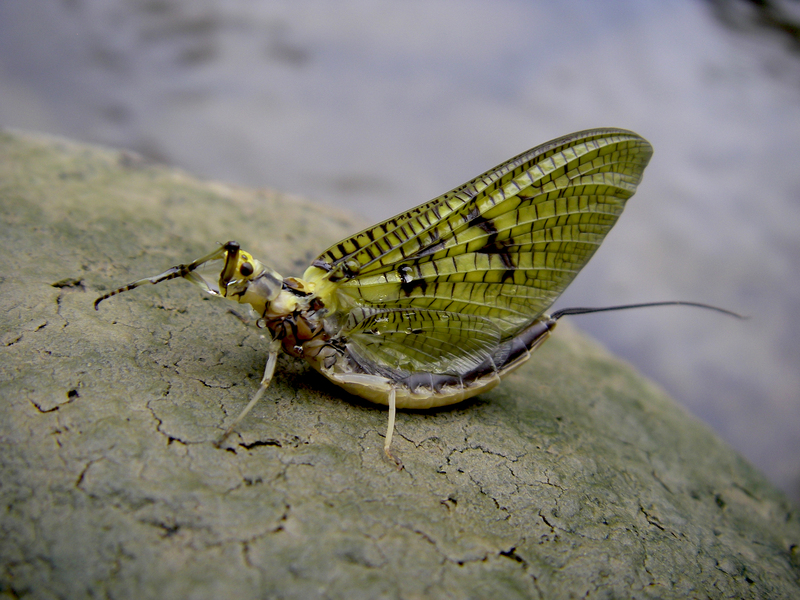 And I believe they are also one of the few aquatic insects that pupate on land. Right, the Megalopterans and most aquatic Coleopterans. Posts: 282 There are also some primarily terrestrial caddis (see Anderson 1967 for a great discussion of Philocasca demita) and a couple where larvae leave the water and pupate terrestrially. There is still alot to be learned about caddis life history in intermittent aquatic systems. There are also some primarily terrestrial caddis (see Anderson 1967 for a great discussion of Philocasca demita) and a couple where larvae leave the water and pupate terrestrially. 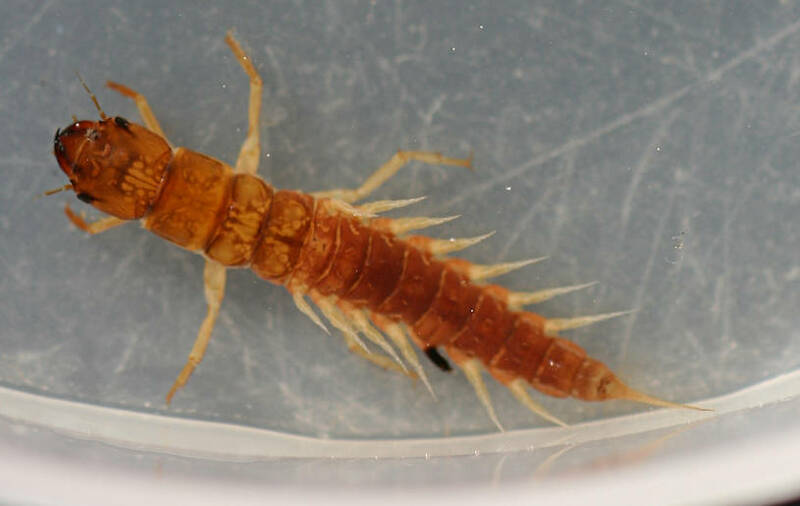 There is still alot to be learned about caddis life history in intermittent aquatic systems.